Awesome football-themed pen with release mechanism. The ball is soft, hence safe, and the elastic string keeps is attached to the ball so you won't lose it. Colour of the ink: blue. 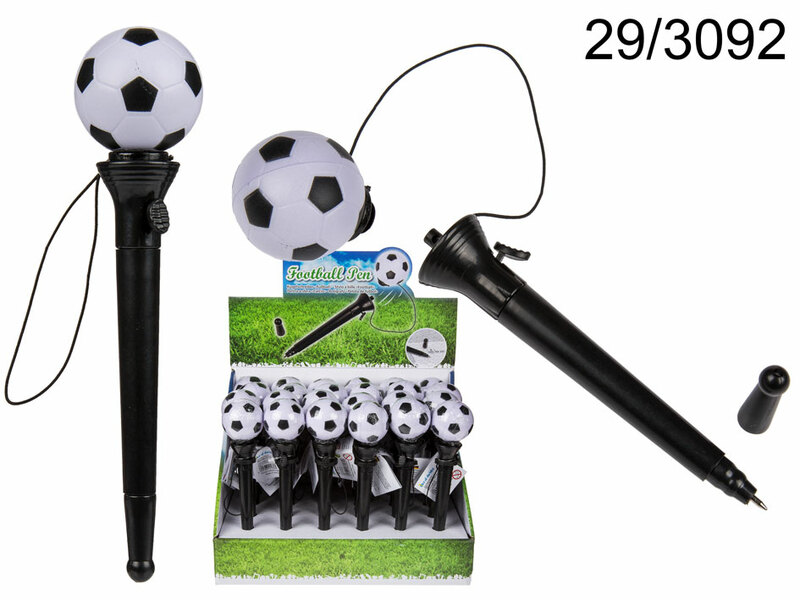 Fun stationery item for every lover of football. Length: 17 cm. Length of the elastic string: 18 cm. When buying 24 pieces display stand is free of charge. Dimentions: 17 x 4 x 4 cm.